Jewish Community Center of San Francisco’s (JCCSF) swim school offers swim classes for students of almost any age. We have translated their swim registration process from a very manual and difficult process to an online experience that is easy to use for both the JCCSF swim administration and new swim school registrants. Salesforce sites.com allow us to take data in their Salesforce platform and present in an intuitive manner for anyone wishing to register for one of their classes. It informs the user whether or not there are spaces available in the class, allows the user to easily browse other classes of other age range and describes the class. 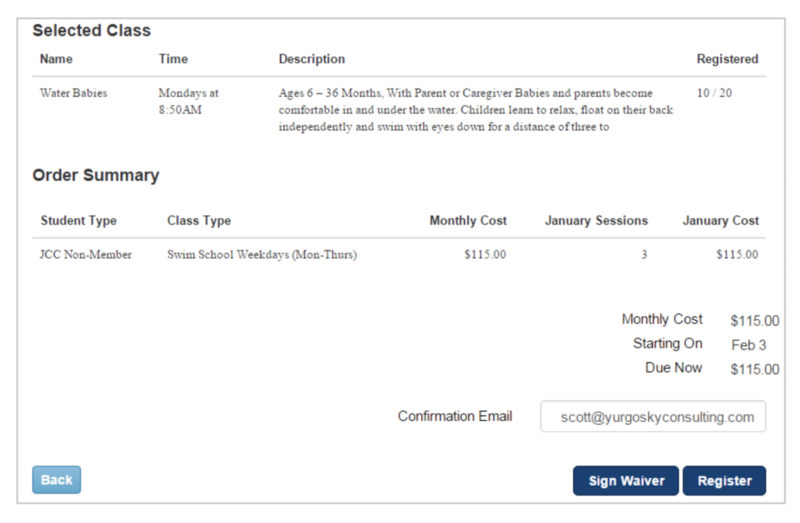 Registration is complete for a JCCSF swim class when a user on the website both pays for their swim membership and signs waiver forms. Both have been integrated in the JCCSF’s salesforce.com instance with products from Chargent and Docusign. 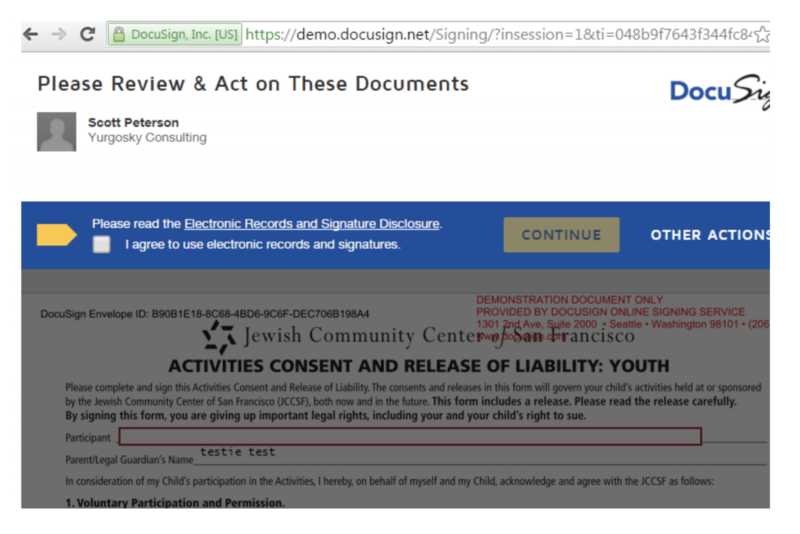 The waiver signing uses Docusign’s embedded signing API. This allows for the website user to sign their required documents electronically at the same time as actually purchasing a swim membership. JCCSF’s swim school will now be able to accurately monitor and archive all new waiver documents in Salesforce to help reduce liability of unsigned or out of date paperwork.